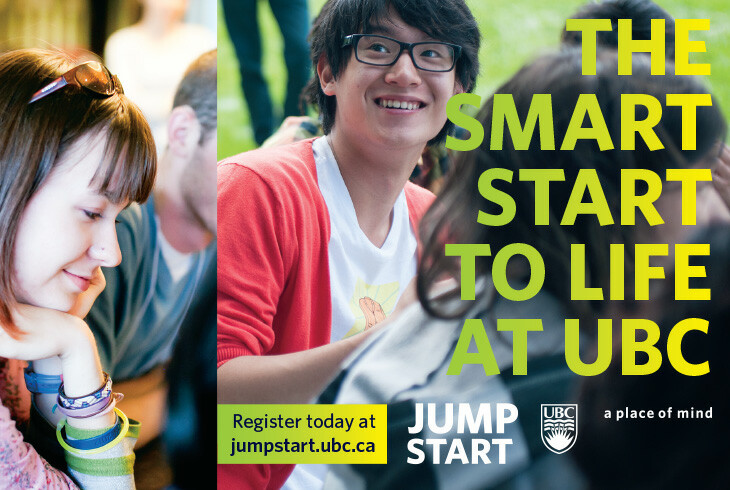 Identity for the UBC Jump Start program, an orientation and transition program for all new international and aboriginal students. 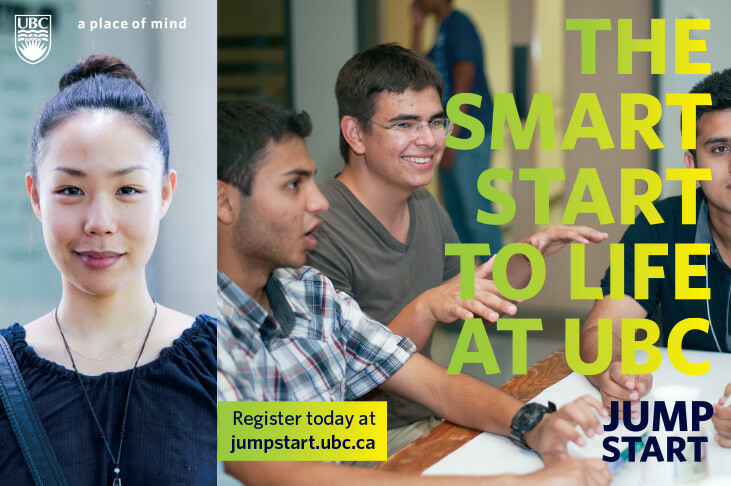 The UBC Jump Start program was expanding from a small opt-in program to a mandatory program for all new aboriginal and international students. They needed a more professional and flexible identity to reflect the value offered by the program. 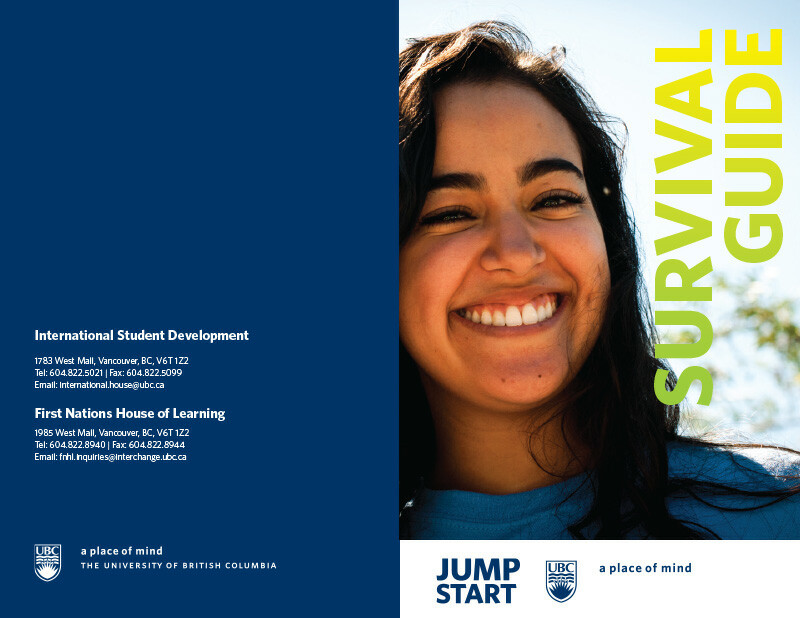 I started by running a workshop with staff and past participants to get at the heart of what the program offers and the headstart it gives students, academically, culturally, and socially. I designed an identity that features a consistent bold and lively treatment of the tagline, paired with imagery of students engaged in moments of transformative learning. 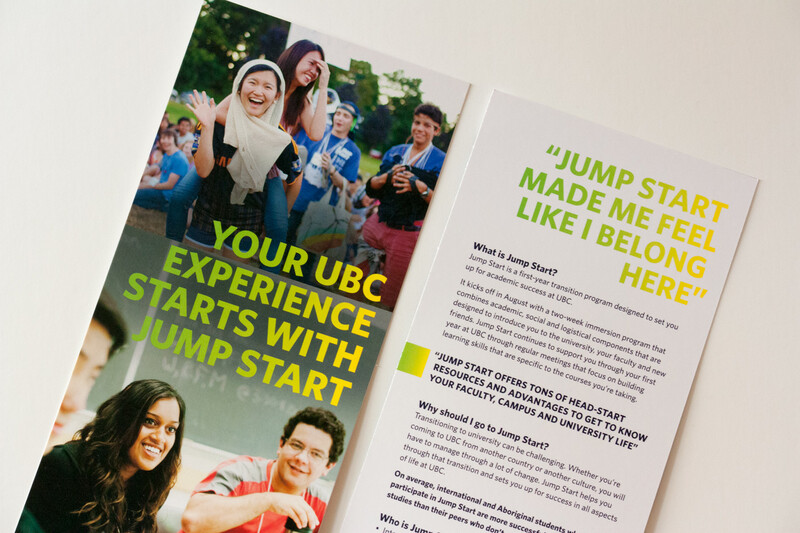 The bright colour palette and bold type treatment combine to create an identity which is energetic, celebratory, youthful, and strong, which paired with the logotype in UBC blue or white, positions the program as essential to students' UBC experience, and supports the UBC brand (bold, open, adventurous, and fun).